Sheffield Boxing Centre is holding charity events in and around Sheffield in aid of talented young amateur boxers. Public events will take place over the next few months and include bingo nights, hot-dog sales, a half-marathon, football matches, a film night, Derwent Valley bike rides and much more. 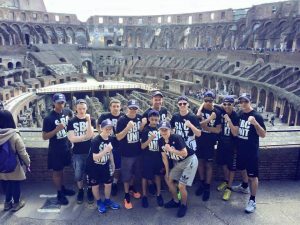 The funds collected will sponsor two trips to Normandy and California for young boxers who have shown potential in the ring at Sheffield Boxing Centre (SBC). The Centre have been fundraising for these trips for 25 years now and in that time have also raised over £350,000 for charities, including the Children’s Hospital. 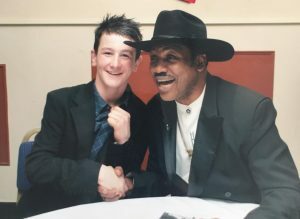 Former light middleweight champion and former Commonwealth middleweight champion Sam Sheedy, 30, was one of the people who went on these trips as a young boxer. 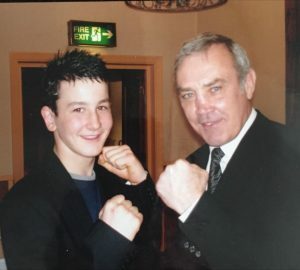 Sam Sheedy with Alan Minter former middleweight champion of the world. One of the highlight events SBC is organizing is the 5K cycle run around Derwent Valley which will take place on Sunday 17 March at 2pm. 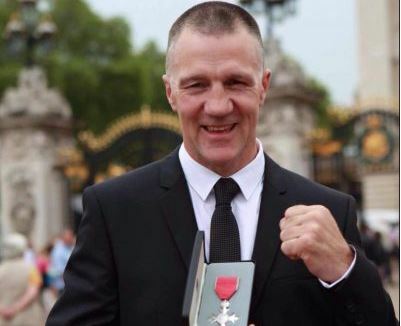 Anyone that would like to get involved in the fundraising events can contact Sheffield Boxing Centre directly on 0114 2326513 or just turn up on the day. 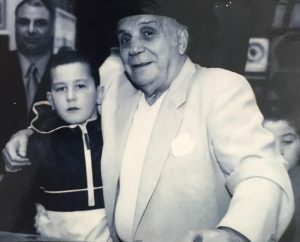 Sam Sheedy with Jake LaMotta “Raging Bull” former middleweight champion of the world.